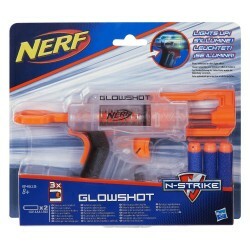 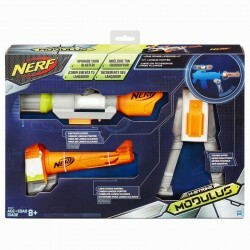 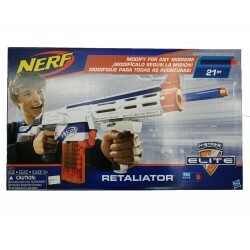 Deliver a double attack with this breech-load blaster that fires 2 darts in a row! 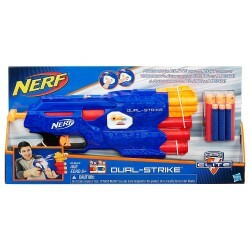 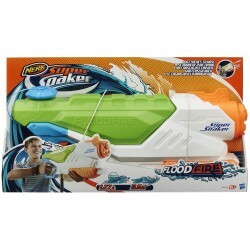 Open the breech door on the Nerf N-Strike Mega DoubleBreach blaster to load the darts, then unleash one Mega Whistler dart at a time with pump-action blasting. 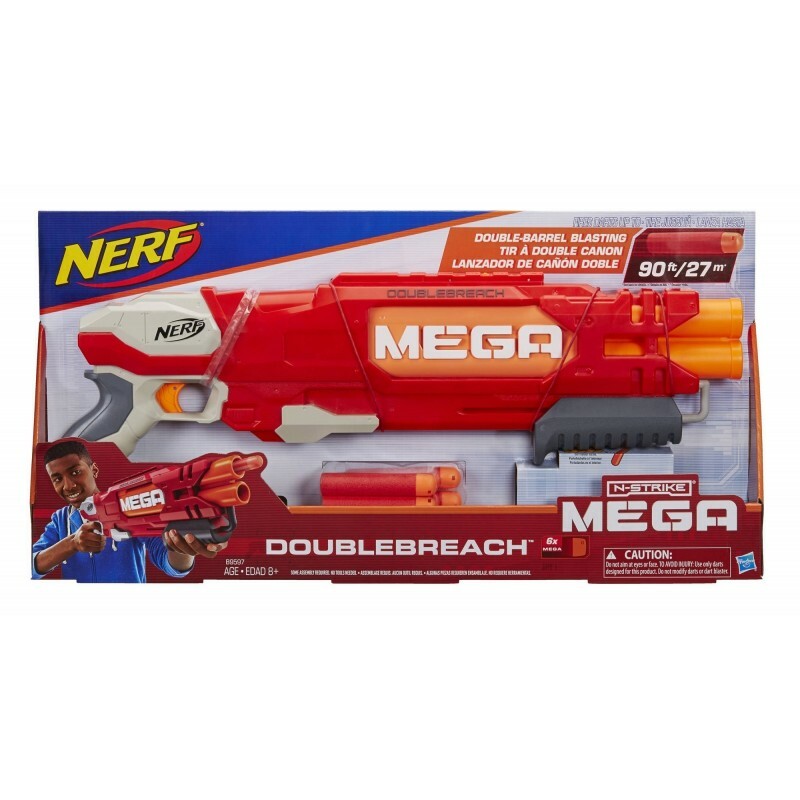 One dart will fire from each barrel of this two-barrel blaster, for a one-two punch that sends the darts flying up to 90 feet (27 meters)! 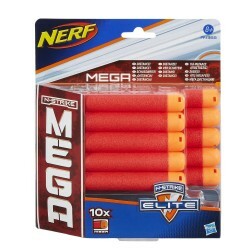 Storage area keeps darts nearby for quick reloading. 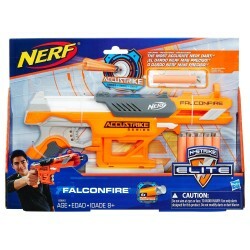 Includes 6 Mega Whistler darts that scream through the air when launched.